Nestled among the abundant native desert plants of Baja, including barrel cactus, palo adan, and pitaya agria, located on the tranquil La Ventana Bay just south of La Paz, Mexico, you will find a unique resort with quaint, palm-frond roofed casitas, known as Palapas Ventanta. Located on southeast side of the Baja peninsula overlooking the Sea of Cortez, Palapas Ventana offers travelers a laid-back alternative to the fancy five-star resorts you might find a little further south in Cabo San Lucas. And if you are a picky traveler, this place isn’t for you. 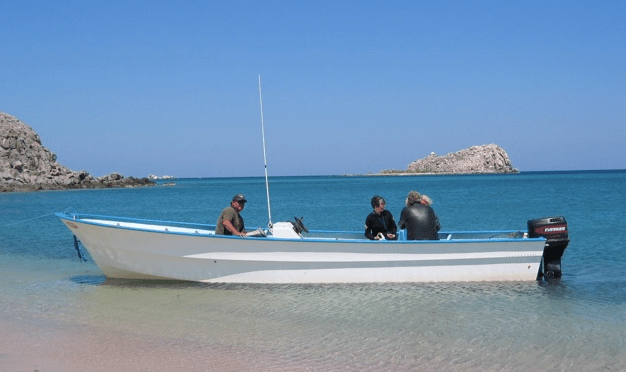 This destination offers well-priced, individual casitas, a friendly staff, home- cooked meals and an abundant selection of water activities located in an ideal marine setting. Scuba diving, snorkeling, windsurfing, kite boarding, fishing and kayaking are just a sample of activities that will satisfy the need of any water-sports aficionado. Educational ocean programs are also available in collaboration with Sea Camp San Diego. If water sports aren’t your thing, cooking classes, bird watching, Spanish lessons, and local tours are also offered. The La Paz area boasts a wide array of natural attractions, such as the islands of Espiritu Santo and Cerralvo. Seemingly geared more for adults, Palapas Ventana is family-friendly according to its owner and does offer babysitters. And for those who don’t want to submit entirely to primitive living, you can get your tech fix in the internet cafe with Wi-Fi and Skype available. Palapas Ventana is run by mother and son team, Tim and Karon Hatler. With an extensive background and love for diving and fishing, and growing up in the sailboat and windsurfing family businesses, Tim spent four years as Captain on California Dive Boats participating in diving, spear fishing and education trips in Channel Islands and Baja. He is also the founding director of CIMI Tall Ship Expeditions, a live aboard sail training/marine science program for kids and holds a BS in Chemical Engineering from UC Santa Barbara, a 500 Ton Masters (Captains) License with the USCG and is a PADI and NAUI Dive Master. How did Palapas Ventana come about? A long string of vacations became a lifestyle. What type of place is this? Water sports, adventure, local flavor and laid back. What type of place isn’t this? It’s not a glitz-glam or Cabo hub bub. No time shares or writing your name on a grain of rice. What was your experience building a business in Mexico? We had a lot of hoops to jump through but it was easier than the U.S. Nobody’s getting rich doing what we are doing, but we’re going to live longer. Describe a day in the life for you? Get up at 6:30 a.m. and gas the boats. Bring coffee to the captain, greet the guests at breakfast and see the boats off for fishing and diving. Then I check up on maintenance projects, greet the boats on the beach, cut fresh sashimi and serve the guests margaritas and talk about their day. Repeat. Is your place family friendly? Yes! We are family-run, so you’ll fit right in as an extension of our goofy family, plus babysitters are available. Do you offer Wi-Fi, are you on Facebook, Twitter or is your motto ‘leave your tech behind’? We are on Facebook and Twitter and offer Wi-Fi and Skype. Our motto is to allow our guests to work from our place so they can stay longer. What kinds of experience can your guests expect? Guest can expect amazing sunrises, knowing the names of all of our staff and us knowing you. Also, swimming with dolphins, laughing, napping in a hammock, practicing your favorite waters ports, learning Spanish and eating amazing, home cooked dishes. According to Hatler, the best months for diving and fishing are April through October due to the calm water. 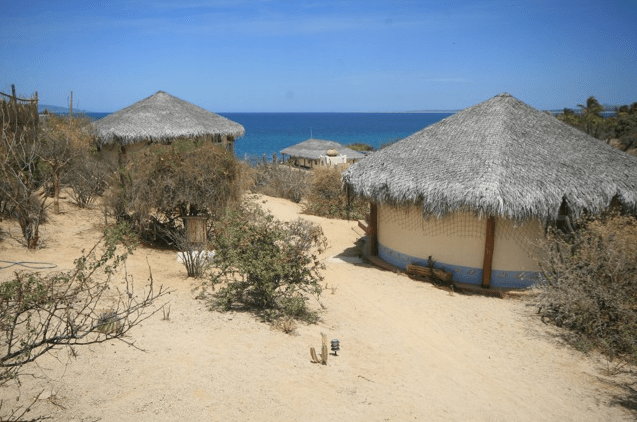 Specialty Casitas at Palapas Ventana can accommodate up to four people and cost $77.50 per person double occupancy and include a private bathroom with a sink and shower, air conditioning and a purified water dispenser. Regular Casitas run $60 per person double occupancy and sleep up to two guests (note these do not include a private bath). 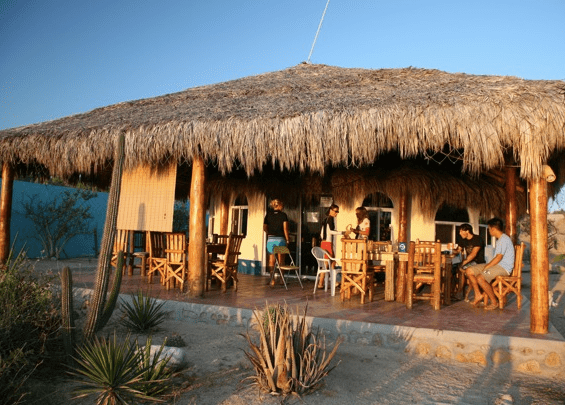 Prices for both styles of casitas includes breakfast, lunch, use of kayaks, snorkeling gear, sailboats, and beach support. 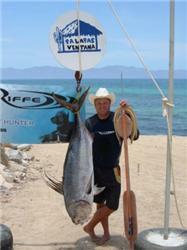 More information and special packages including activities can be found on the website at http://www.palapasventana.com/. The La Paz International Airport is serviced by Delta, Alaska, American Air, America West, Frontier, Aeromexico, United, and Continental. Note Alaska Airlines (via Horizon Air) offers direct flights from Los Angeles (LAX) into La Paz International Airport. A 35 minute one-way airport shuttle ride from La Paz costs about $70 USD total for one person, $35 each for two people and three or more people will cost about $25 per person.